In the last day or so a story about the proposed construction of a pyramid (bigger than the Luxor, Las Vegas) in Williston, North Dakota by a Georgia firm (Camp and Associates) has gained increased attention (The Fargo Forum reports on it here). I hope everything works out a-okay on this project, and it appears local city planners and officials in Williston are generating questions for Camp and Associates. It’s important to be plugged in. 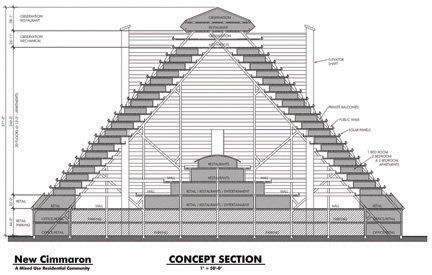 The proposed commercial pyramid for Williston, North Dakota. 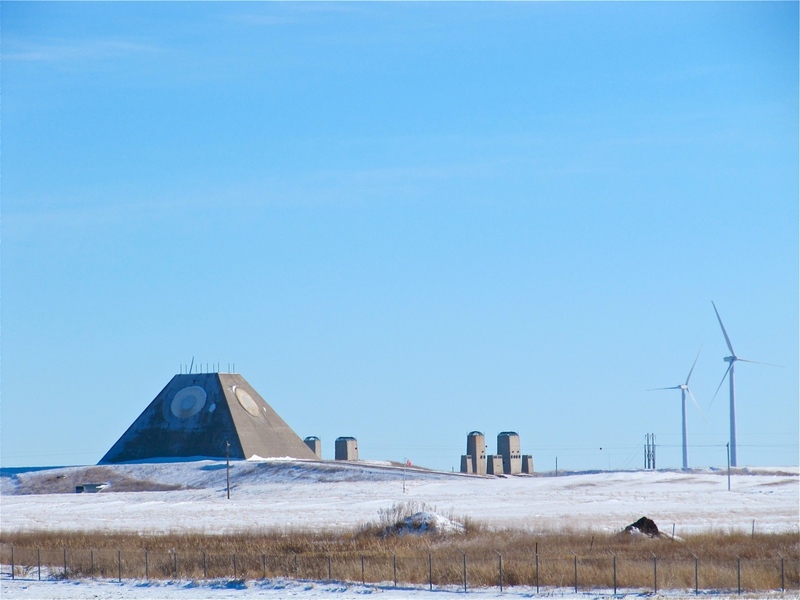 The proposed pyramid in Williston got me thinking about another pyramid on the northern Great Plains, this built during some understandably paranoid Cold War times in world history. That pyramid, the Stanley R. Mickelsen Safeguard Complex just north of Nekoma, North Dakota (or not too far south of Langdon, ND), stands as an artifact of the great struggle between the USSR and the US, or as we used to more broadly say, The West. In Nekoma, I remember a local tavern that with the name, “The Pain Reliever,” or the equivalent, and it reflects a social-psyche from a period in world history when one had to learn how to not only live with but also love the bomb — embracing what one cannot control, or the absurd, is crucial to that. A 20th century archaeological relic from the Cold War with 21st century Green energy turbines at the right. 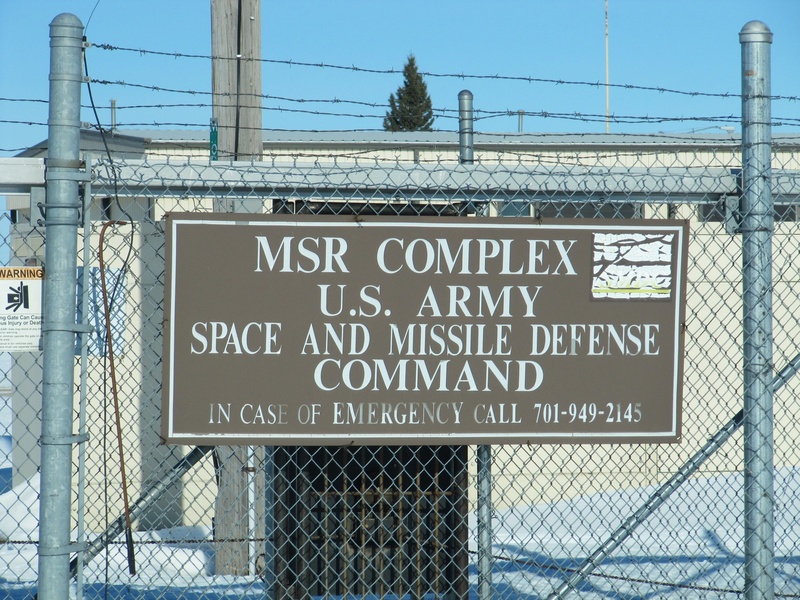 MRS signage to the SRM ICBM Cold War relic in North Dakota. This entry was posted on Thursday, October 4th, 2012 at 1:58 pm	and tagged with North Dakota, Pyramid and posted in Uncategorized. You can follow any responses to this entry through the RSS 2.0 feed.